What parent doesn’t love a good homemade gift? 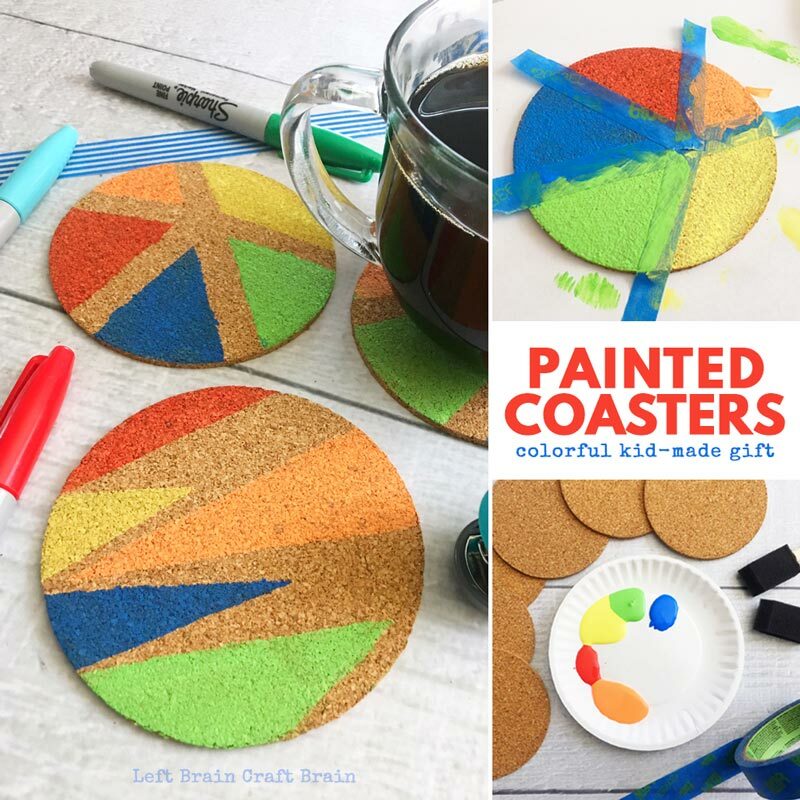 This year, the kids can create these hand painted coasters! They turn out beautiful and a great way to add in a little math art to your DIY crafting. We do a lot of crafting around here. I know kids love math painting activities and you’ll love the adding geometry to their creating. It’s a lot like the math art we created with our rainbow geometry painting activity. 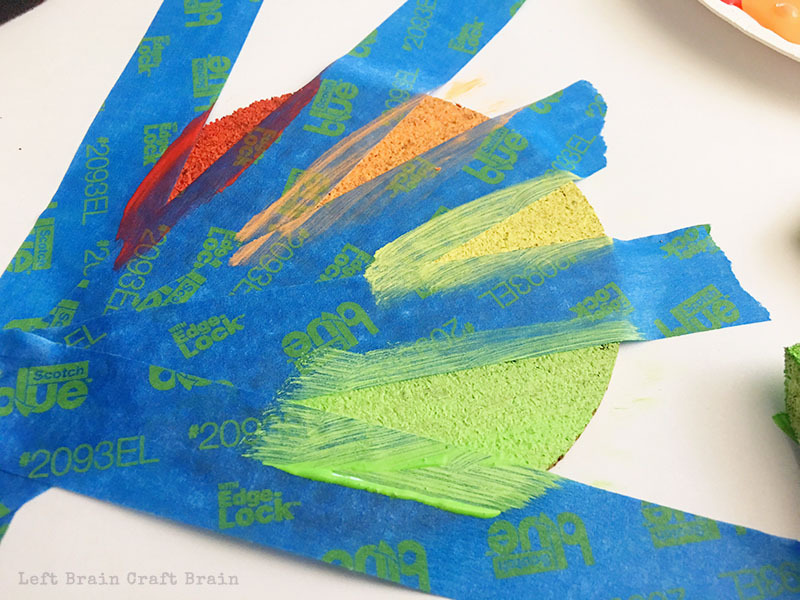 Plan to do the two activities at the same time while you have the paint out beacuse these kinds of projects are exactly what STEAM is all about! It gives your kids the opportunity to stretch their creative muscles and become the next generation of inventors, scientists, and creators. Plan this DIY gift as your Mother’s Day gift or Father’s Day gift this year. They turn out beautiful and they are practical! Off my soapbox and on to creating homemade gifts! You probably have most of the materials already at home. I know I did! 1. Lay out a few pieces of scrap paper or an old newspaper before you get started. This will help with clean up too! 2. 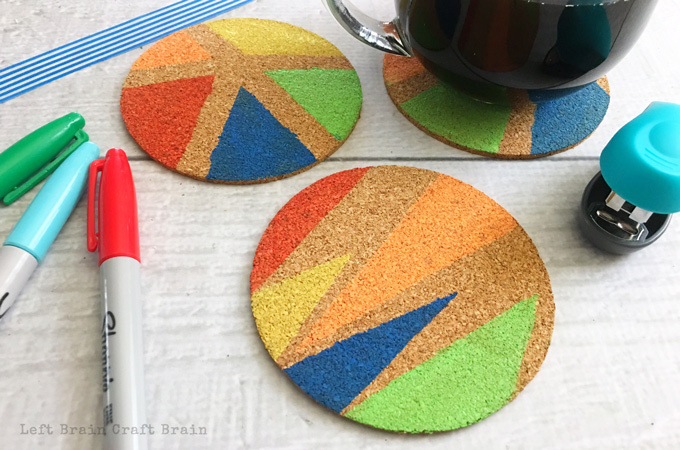 Use your painters tape to make a pattern onto your square coasters by criss crossing the tape and leaving triangle shaped cork openings. This is a great time to talk with your kids about angles and the kind of geometric shapes they are creating. 3. Paint each open space a different color and let dry. 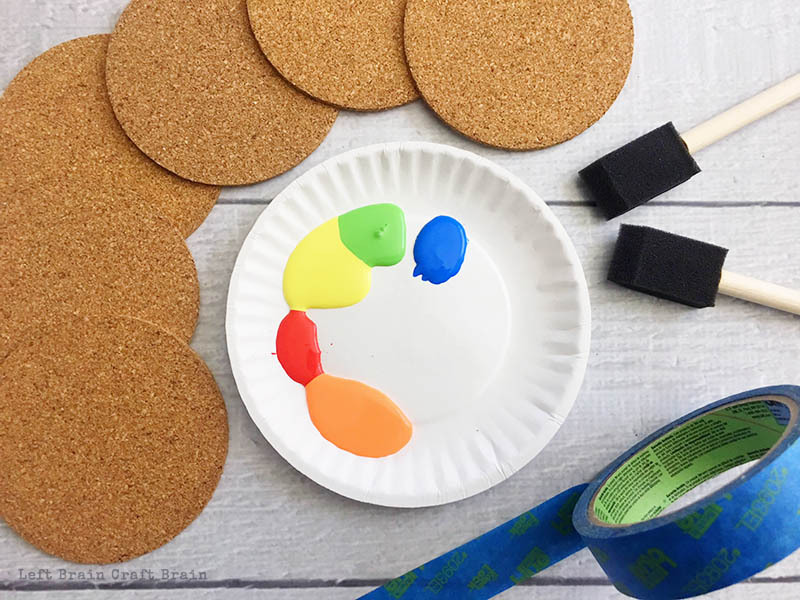 Be sure you use enough paint to fill in all the little holes in the cork. 4. 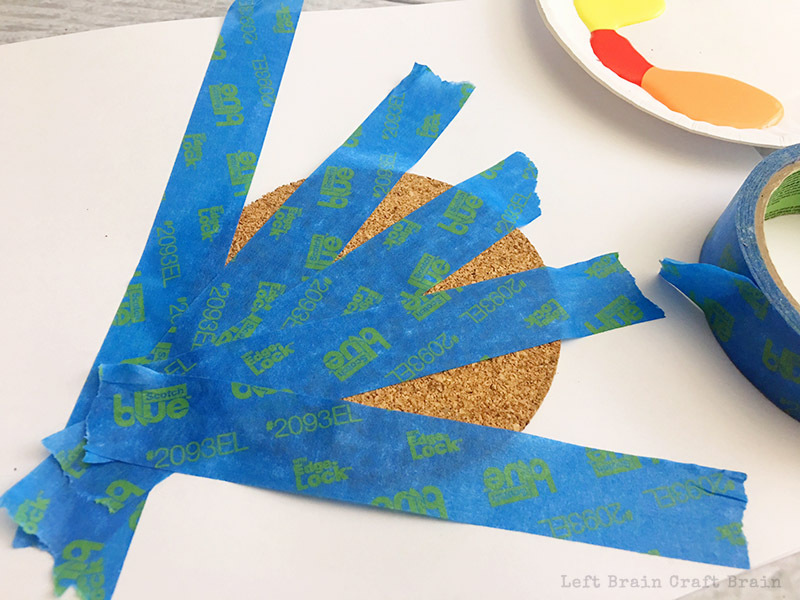 Carefully remove the tape and your coasters are ready to use. Isn’t this a great gift idea? I love how simple and beautiful they turned out! 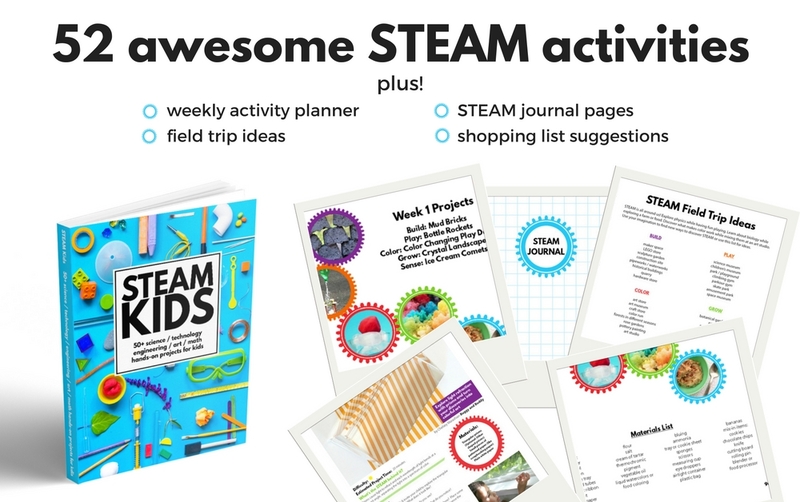 Because kids can’t live on coasters alone ;) How about a year’s worth of STEAM? 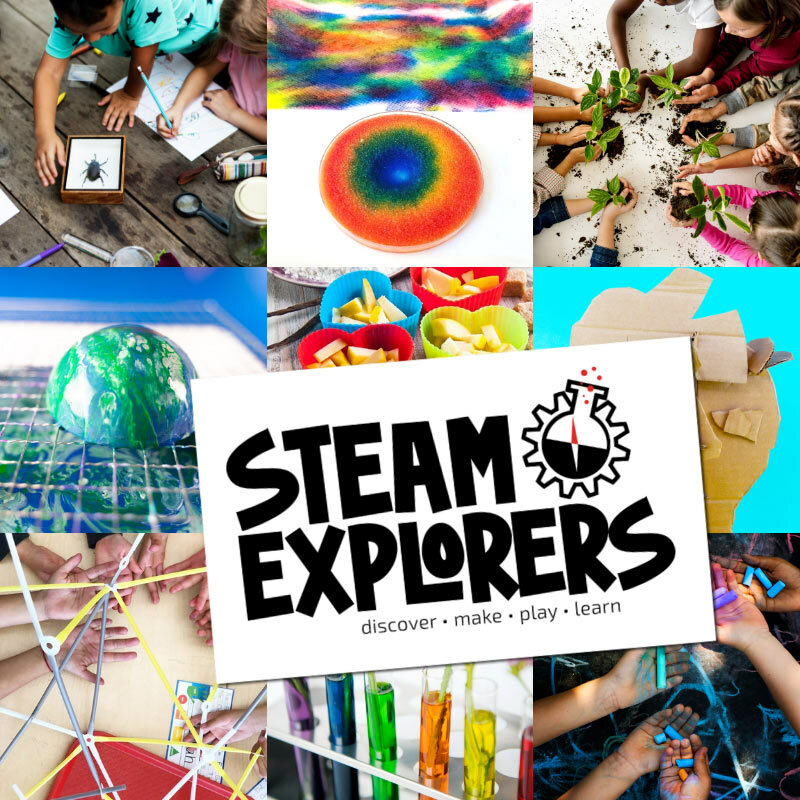 Check out STEAM Kids, a book packed with 52 weeks of hands-on activities that will wow the boredom right out of kids! Or pick up the PRINT VERSION ON AMAZON.